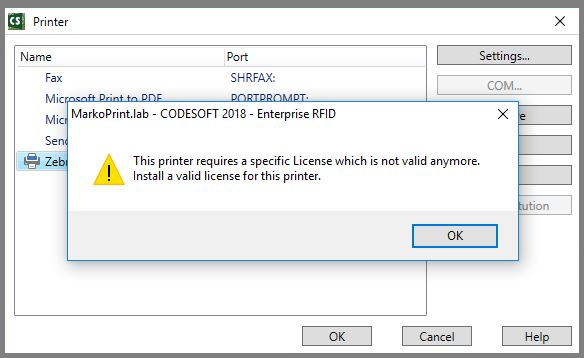 This Error Message Article explains the CODESOFT error message”This printer requires a specific License which is not valid anymore. Install a valid license for this printer.” and details how to fix the underlying problem that caused it to appear. Some TEKLYNX printer drivers require an additional ‘printer pack’ license to function. In the case that triggered this article, the Markoprint X1Jet HP needed that license.